Pre-finished hardwood floors come ready to be installed. The hardwood boards have been sanded, stained and finished at the manufacturing plant, which often means a harder and better-protected surface with multiple coats of protectant. Pre-finished floors offer more choices of wood and can save hours of labor and cleanup. But unfinished wood floors offer you the ability to truly customize your floor. You select the wood species. It’s then sanded and stained right in your home. With unfinished floors, you also have the opportunity to level the surface of the entire floor after it has been installed. 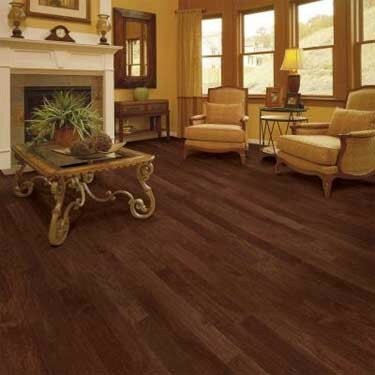 Pre-finished floors come with an extended factory finish warranty. Unfinished floors do not. If you choose an unfinished hardwood floor, maybe because you need to match an existing trim, then a job-site finish is your only option. In this scenario, you begin with a bare floor that is sanded, stained and finished right before your eyes (if you decide to watch, of course). The advantage of a job-site finish is that you can customize the heights between planks (to ensure they’re even), the color and the placement. The disadvantage is the mess — and the fact that the process can take several days! To avoid the job-site finishing of your new hardwood flooring, we suggest purchasing pre-finished hardwood that is available in many species of wood and a large selection of stains.